I sent out a small number of requests last week and received the first one back today. 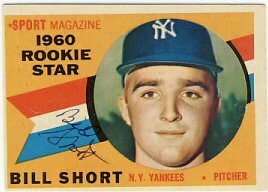 Bill Short signed his 1960 and 1961 Topps in one week. Mr. Short is a great signer through the mail. I'm not sure why I haven't sent to him sooner. The trade deadline has passed today. Morneau is still with the Twins. I'm happy about that, despite his past injuries and lack of home runs this year. I don't think we'd have gotten much in return, and I think he's got a lot of upside potential. The Twins did trade Drew Butera to the Dodgers. I think they got a Gatorade cooler or something in return. Butera didn't hit much, but I thought he was the best defensive catcher we have. Hopefully he'll get to play more games in the majors with the Dodgers. I always seem to get returns when I'm out of town. 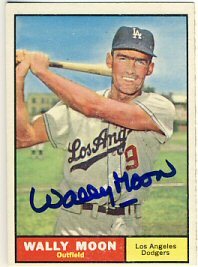 I returned again today to find a nice return from Wally Moon, who signed a 1961 Topps for my collection. 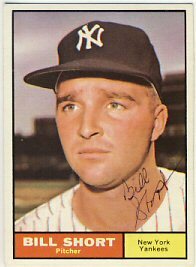 I have about 225 cards signed from this set. Now that my sons' baseball seasons are over, maybe I'll take the time to go through my sets and see what cards I need to send out. I'm WAY under my goal for sending requests out and have a lot of catching up to do. I heard that they will be selling off parts of the Metrodome after the Viking's season this year. I may see if I can get some seats to add to my basement. I was gone for a few days over the weekend but came home to a return in my mailbox. 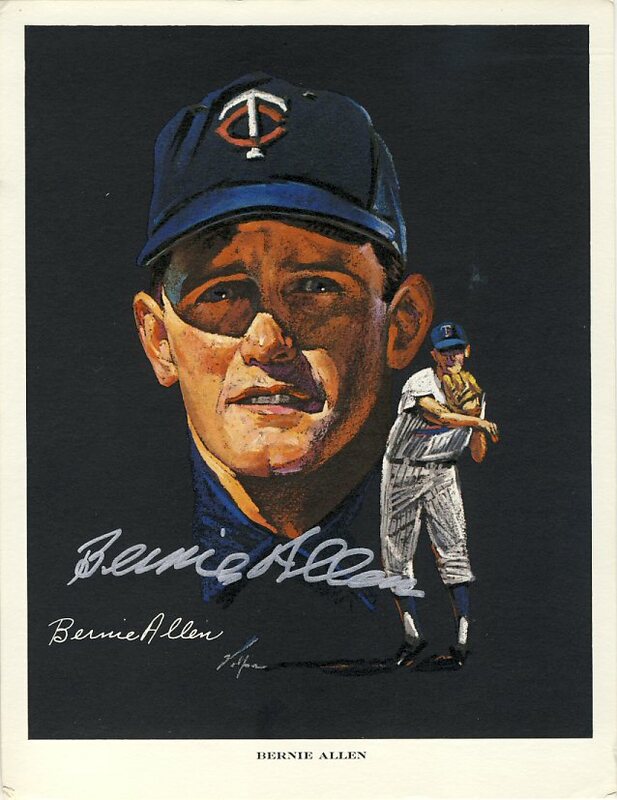 Bernie Allen was kind enough to sign a 1963 Western Oil print painted by Nicholas Volpe. I sent this to him back in March. I believe Bill Dailey and Jim Kaat are the only two living players that I don't yet have on this set.